So what’s happening now? We broke the dry spell that I noted last time. 3.3 inches in a day and a half, followed 10 days later by 5.5 inches over 2 days. This of course was welcome as it popped our rye and oat grasses. But what is impressing us since the drought went away and the rains returned is that the new pattern is large rains followed by dry spells followed by large rains, followed by... That’s different than the pre-2011 pattern which consisted of 6/10ths here, 1 inch there, spread over the given month. Never too wet, never too dry. It is very much the other way now. So successful farmers have to do what they have always done – adjust on the fly. What does that mean on a day to day basis under these changing conditions? It means you keep some stored grass on hand. You don’t move to the next pasture in the rotation when that pasture has not had sufficient rest and re-growth. 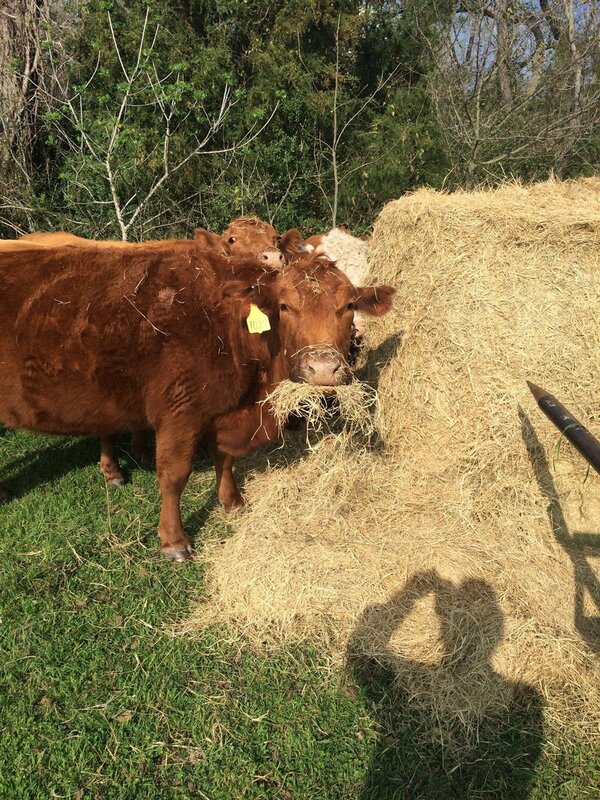 So you go to your stored hay supply to feed your livestock, buying time for your next pasture to mature. Otherwise, you are in a downward spiral, damaging the recoverability of each successive pasture. While our creatures always prefer grazing the green stuff, stored grass is insurance for us. The most important thing in pasture management is recovery time. If you hit a pasture too soon after it was clipped, the recovery is handicapped. Can’t do it. Bring on the hay! Farmers survive by dancing to Mother Nature’s orchestra. We lose if we are waltzing when she is doing the 2-step. So figure out the music and get with the dance. Stepping on her toes will eventually put you on the sideline.